Helen Hai is known for her contribution in setting up the famous Huajian shoemaker here. The manufacturer has become a major exporter of shoes in Ethiopia in just about two years. 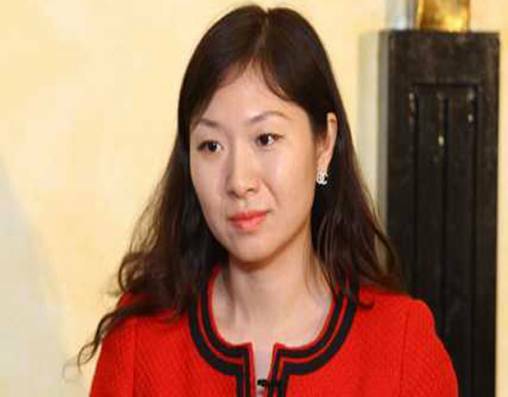 Huajian was personally invited by the late Prime Minister Meles Zenawi to come to Ethiopia. Within a few months, the manufacturer launched production and started exporting brand shoes made in Ethiopia. After looking at what she achieved, the government hired her to advise the Ministry of Industry by prompting Ethiopia for investment opportunities, and report to Prime Minister Hailemariam Desalegn. The Reporter: Tell us about what you are doing with the government of Ethiopia at the moment. Helen Hai: As you may know, previously, I was the vice president of Huajian and managed to set up the manufacturing plant here. Currently, one of the things Ethiopia plans to achieve is having a double digit GDP growth. That is very important. It�s very important for this country to have hundreds and thousands of companies like Huajian. In my two years of experience people in the government noticed my expertise and I was hired as investment promotion advisor to support the government in the direction of industrialization and in the process of achieving the economic growth of the country. One of the tasks I am working on is supporting the development of Bole Lemmi and Killineto industrial zones. These projects are run with the supports of the World Bank. From my point of view, Ethiopia has a great potential for becoming an industrialized nation. In what ways can that be done? First let me tell you about industrialization. If you look at labor-intensive manufacturing like shoemaking, for instance, it first started in Europe. Then it went to the US and then to Korea and Japan. That experience further expanded to Hong Kong and Taiwan. Twenty years ago, Chinese industries had no idea of shoemaking and producing garments for the international market. It was actually manufacturers from Hong Kong and Taiwan that went to China to teach the Chinese how to make that happen. So China has enjoyed the twenty years of a golden time of manufacturing. But today the rising of labor cost is a big challenge China is facing. China is facing the same struggle like Japan, Korea, Europe and the US. We call the situation industrial upgrading. Having the industrial upgrading from China�s perspective is a process of moving up the supply chain, moving up into the more value-added part. Another way of continuation of the existing manufacturing sector is going to places or countries where the cost of labor is relatively low. This is a global trend of shifting the manufacturing sector to places of cheaper cost in the labor market. Justin Lin captured it very well. Actually, this process started in China some ten years ago. The first shift has been towards the South East Asian countries. Vietnam and Cambodia were the target countries for relocating Chinese manufacturing companies. Proximity also matters. However, the rate of increase of the labor cost was even higher than what it was in China. They do have a limited population but more manufacturing companies are coming in. The increasing speed in labor cost in those countries forced companies to look to other places. If you look at the globe, Africa is endowed with plenty of resources. And one of those resources is the competitive labor. There is a big potential for Africa to build on the future in becoming a manufacturing place. The way I see it, for Africa to become the future of manufacturing base, three components are very important. The first is to look at the supply chain. Why do they want to come here? If we want to have effective manufacturing base, there must be the plant, the wholesaler and the retailer in the supply chain. These are very essential components. The Chinese manufacturers want to come to Africa because it is cheaper for them to produce here. For instance, competitive labor and cheaper electricity and other cost advantages are some of the pulling factors. Before I created Huajian here, everybody was saying that Ethiopia is not a place for such company because of poor logistics the country has. I argued that, of course, logistics is an issue but we have to look at the bigger picture. In China the logistics costs only two percent. So after coming down here, I was exporting 12 containers of goods to the US every month. In order to export those 12 containers, I have to import some eight containers of products from China. Hence, for my operations in Ethiopia, I have to pay 8 percent additional cost than I used to pay in China as overall cost. So from my cost perspective, here it rises from 2 percent to 8 percent. I have to pay 6 percent more than I need to pay in China. But if you look at the labor cost, in China it is about 22 percent. Each labor is paid some USD 500 on average. Here it is only USD 50. If an Ethiopian employee can produce with the same efficiency as his Chinese counterpart, it means that the manufacturer saves a huge cost from 22 percent down to 2.2 percent. But people question the efficiency of Ethiopian labor force. From experience I can say that I can get some 70 percent of efficiency if I give them a one-year training. So even if I pay high amount for the logistics I can save a lot more from labor. That is the reason why many manufacturers are coming in after calculating the details of the costs. The other thing is that Ethiopia is not a mature market like Korea or China. It�s at its early stage of development. But there are ways an investor can become profitable in Ethiopia and this is what I would like to communicate with the potential investors who might need to come here. It�s my experience with Huajian Company here. I was able to create some 2,000 jobs in just about a year. Do you have other alternatives for the manufacturing sector here appear more appealing? What we have talked about is just one part of the story. We have to look at the next part because factories like Huajian do not own the brands they produce. For instance, they manufacture shoes based on the orders they receive from the traders. Today most of the traders based in the US and Europe are providing incentives to the relocating companies from China to Ethiopia. The reason is very simple. The tariff incentive and other treaties make things work for Ethiopia. The African Growth and Opportunity Act (AGOA) and Everything But Arms (EBA) are some of the zero tariff incentives provided to African countries by the US and European Union. Shoemakers and garment manufacturers in China are obliged to pay ten to 17 percent of import duties when they export to the US and Europe. But export tariff is zero here to those countries. The other important part of the story is the coming of retailers. We are talking about Walmart, Tesco, H and M and MaxSpenser. They give incentives to shift to the manufacturing sector. Before the financial crisis, all the retailers in Europe had the 20/80 purchasing strategy. It means that the 20 percent is being purchased from Europe. The remaining 80 percent is from the Far East and that is known as the 20/80 strategy. However, during the crisis, the purchasing power of the people in Europe has been sharply reduced. The shelf time of consumer product was some six weeks. After six weeks new products are put on the shelf. That trend has been changing during the financial crisis. They could not sell. Piles of containers were everywhere. What the retailers have to do was to rediscount the new products they put on the shelf. That situation made them to rethink. It is why the famous retailers like H and M are coming here to look at the future manufacturing base. It has been eight month since H and M started sending a team here to place orders. Tesco, Walmart and MaxSpenser are all coming here. Africa is considered as the future frontier for manufacturing. It is not only from the geographic point of view, the rich resources, cheap cost and most valuably, the willingness of governments here are some of the advantages. I think Ethiopia has a great opportunity to become a leader in this whole chapter. The next phase, which is going to be something extra, is what we call the global development in Africa. This means the Chinese know-how combined with the European market and the local competitive resource in Africa will witness a shift in the paradigm. It is with this attention that some 100 Chinese companies were in the Addis Ababa to understand the market. They are changing their perceptions towards Africa. There is an expression in English: aiming high. You have to aim high in order to reach there. I see GTP as a gradual process. But I have also a great confidence with the Ethiopian government. In China we say that we have to cross the river by touching the stones. That is the expression we use for development we have achieved. However, you cannot achieve everything because you have a plan. As long as the plan is taking you in the right direction, I think that is fine. From a foreigner�s perspective and someone from China, I have observed that the government of Ethiopia is on the right track. For me that matters most. I don�t think we should judge the government by looking at the figures and what the plan says about five or ten years. The important issue I think we should focus on is that things are going in the right direction. The late Prime Minister Meles Zenawi is said to be the one who invited Huajian and other big Chinese companies here. You have said that relocation has been taking place for some ten years in China. If that is the case, why aren�t many companies coming here? How to attract investment is the crucial point to consider. One way of attracting investment is by creating quick and successful examples. I think the case of Huajian is worth mentioning. This happened in just about two years. The reason I am doing what I am doing now is that I was deeply touched by the willingness of the current PM and his desire to attract FDI in order to create more jobs and increase exports. Once, I was travelling with him on a plane and that gave me an opportunity to understand that he is more than willing to attract foreign investments to Ethiopian even more than his predecessor. He is also working a great deal to support good investment in the country. Justin Lin used to advice the late prime minister on matters related to manufacturing. The current prime minister is also exchanging letters with Lin and Lin is extremely impressed with the current prime minister�s leadership and willingness to develop industrialization. One of the things I am going to do is supporting both leaders in bringing in more labor-intensive manufacturing companies. My role in the past was setting up Huajian and hoping for hundreds more to come. I believe that was a success and I am working to achieve that. There is a Chinese saying that goes like this: it takes longer time for you to accumulate and have a certain beauty. It is a process of accumulation. You have to have the patience to wait for the flower to blossom. You cannot expect from day one to suddenly see a flower fully grown. You need to have some time for new trade frontiers. I see the current prime minister willing more than the late Meles Zenawi in his leadership by absorbing more foreign companies. He is working on the next stage upon the legacies of the late prime minister. So you are arguing that the ambitious GTP will not remain to be as ambitious as it is? I don�t want to comment on numbers. What I want to say is that I have great confidence in this government achieving the GTP through time and I want to be part of a team to support the government to achieve that goal because Ethiopia is leading a new chapter in Africa.